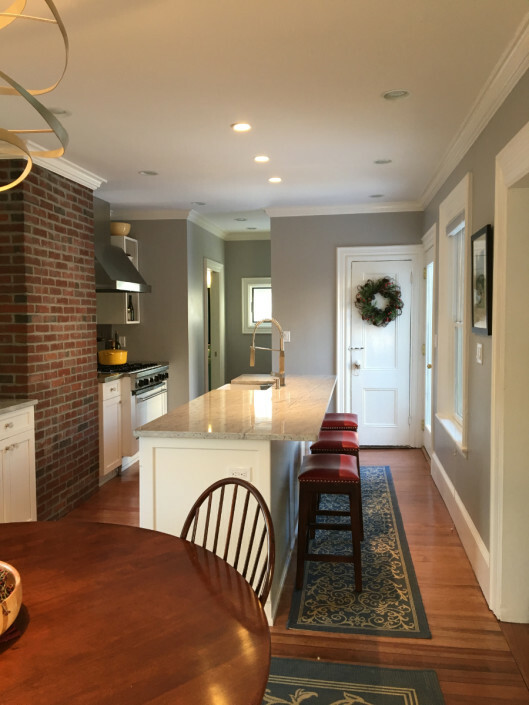 The challenge for this Kitchen renovation was to create a beautiful and functional layout which welcomed guests without compromising efficiency for the chefs. 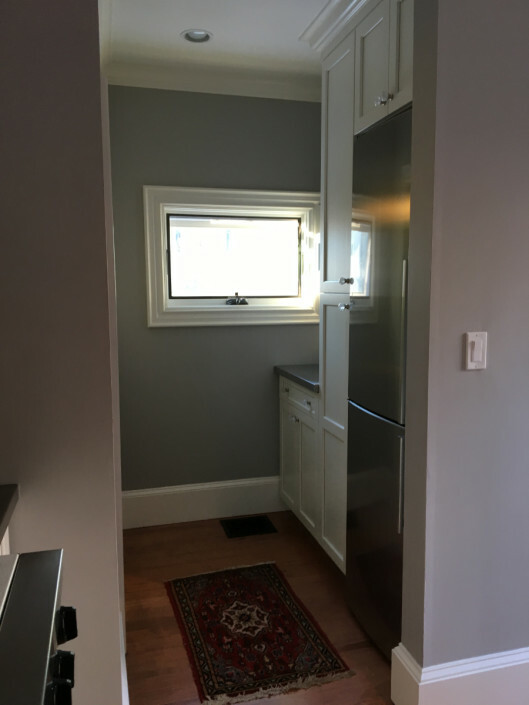 Another goal was to hide the fridge and design high efficiency pantry space for an open plan which doesn’t sacrifice function. Oh, and add a half bath to the First Floor. 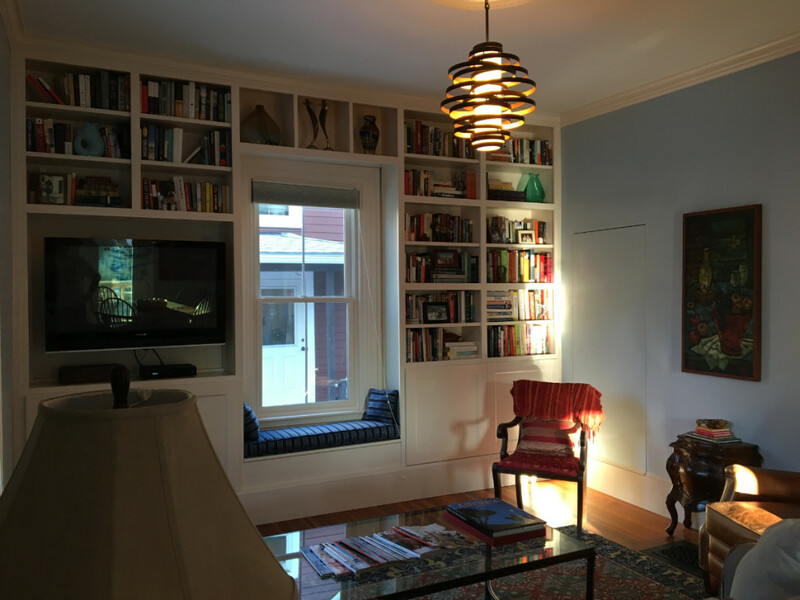 All this in less than 200 square feet. 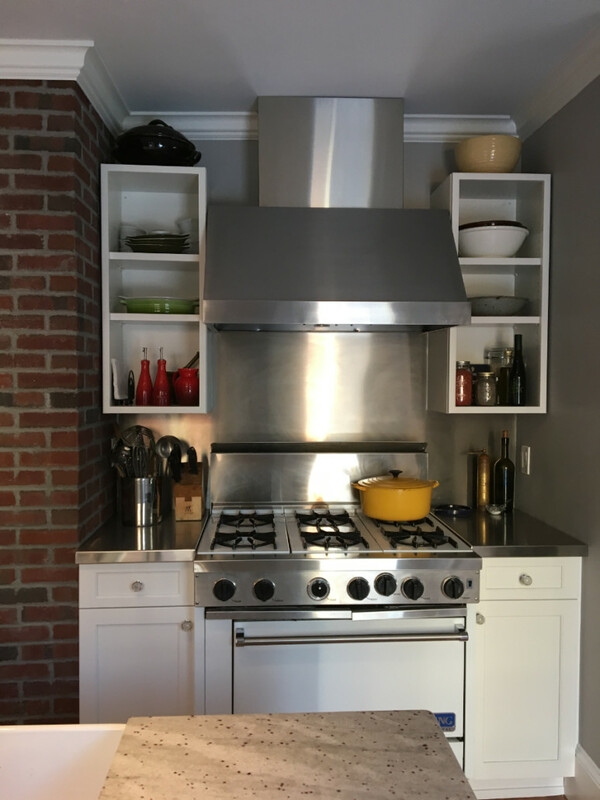 Our first hurdle was to relocate pipes and ductwork built into a chase smack in the middle of the room. 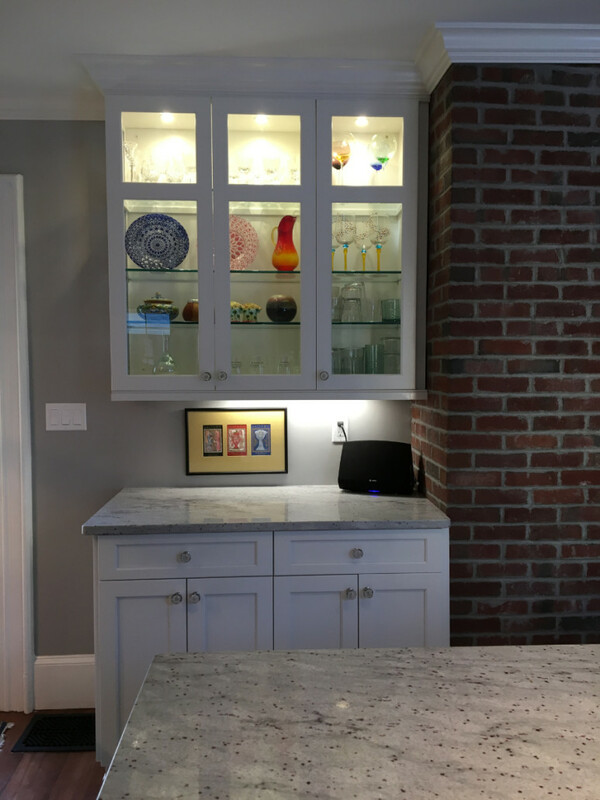 This cramped the layout and obstructed views into the adjacent living and entertaining spaces. 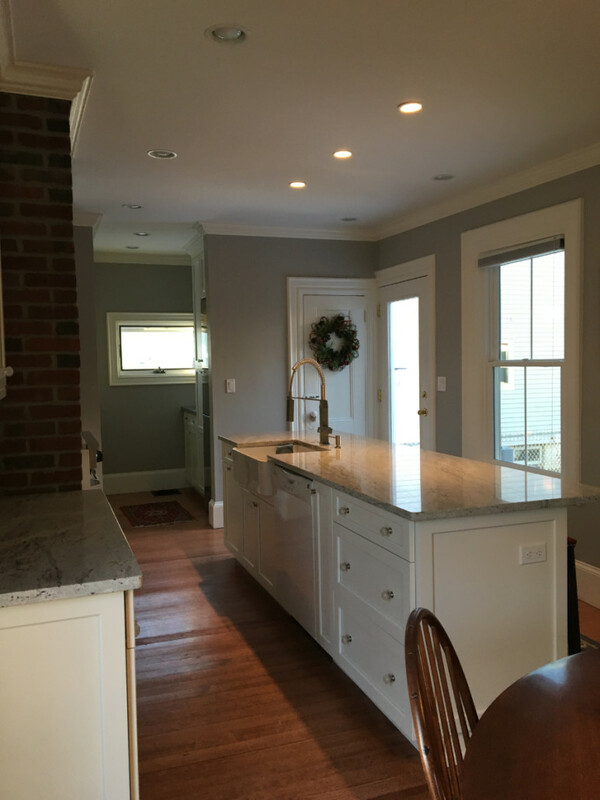 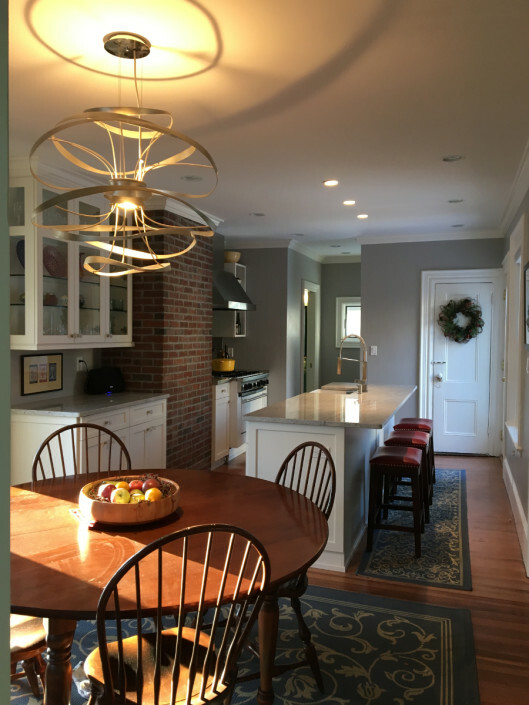 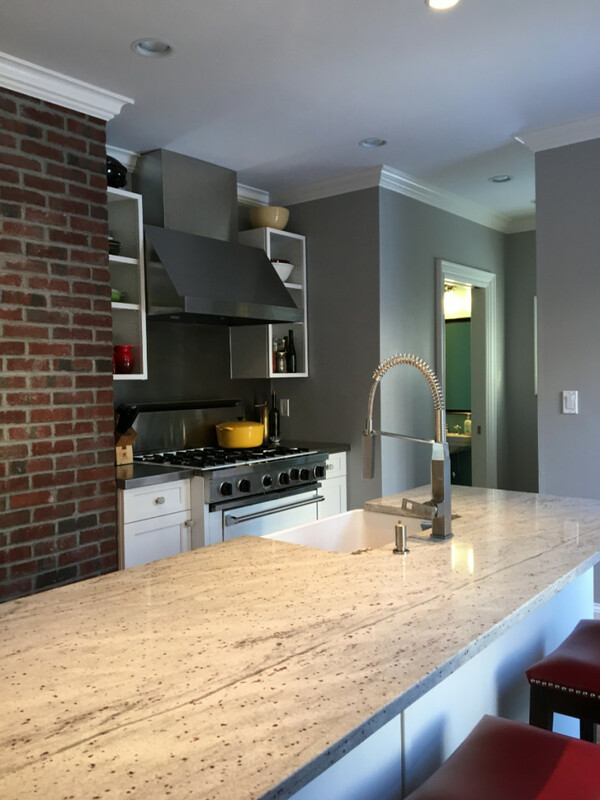 The pipes were moved to the side of an existing chimney which was clad with new brick to provide a warm and tactile element juxtaposed with the sleek stainless steel, classic white cabinets, and modern grey granite counters in the renovated kitchen.